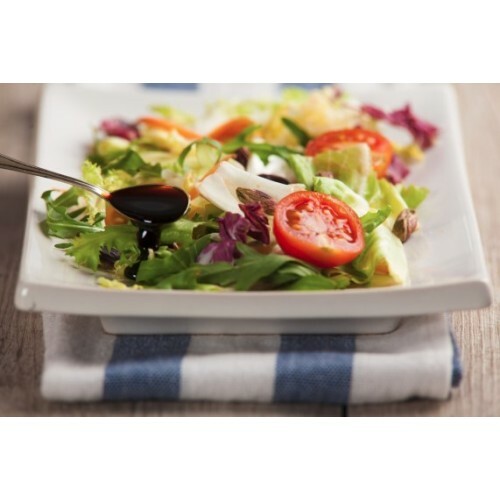 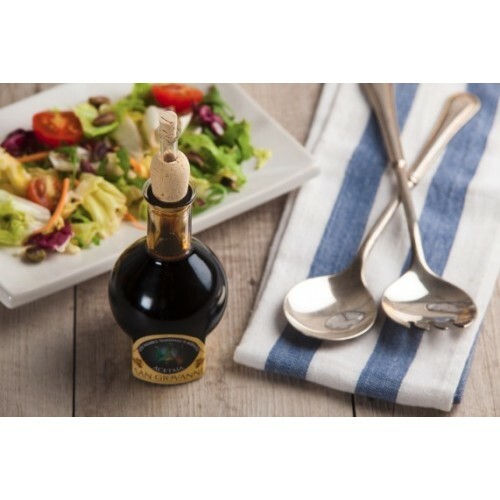 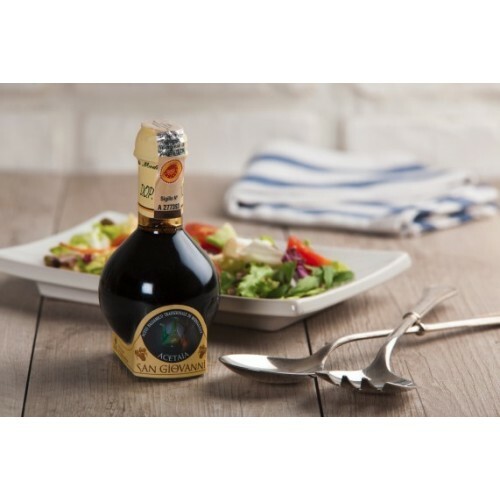 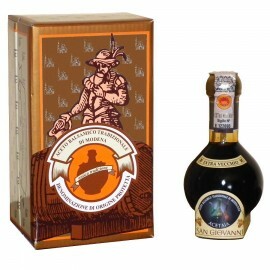 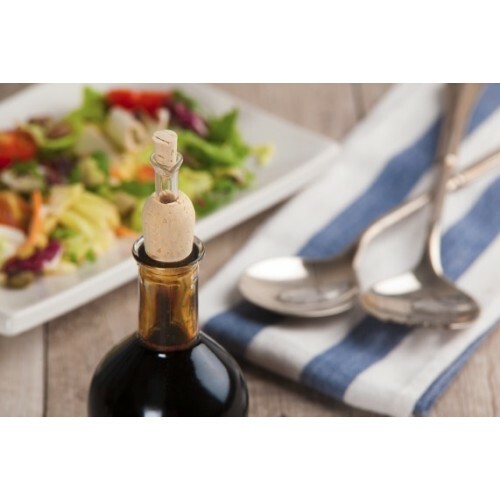 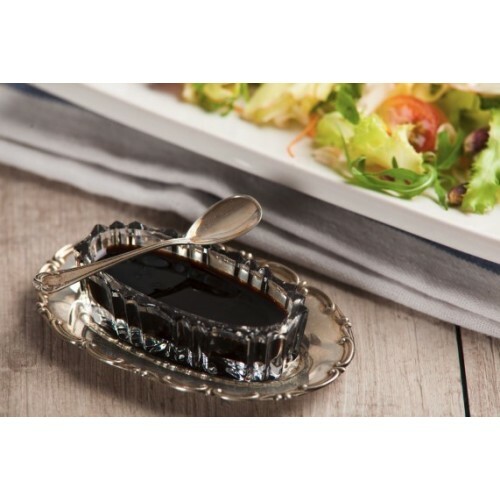 Aged for at least twenty-five years, in the attic of Acetaia San Giovanni, the traditional balsamic vinegar of Modena PDO Extravecchio is a niche product made in full respect of a centuries-old tradition. 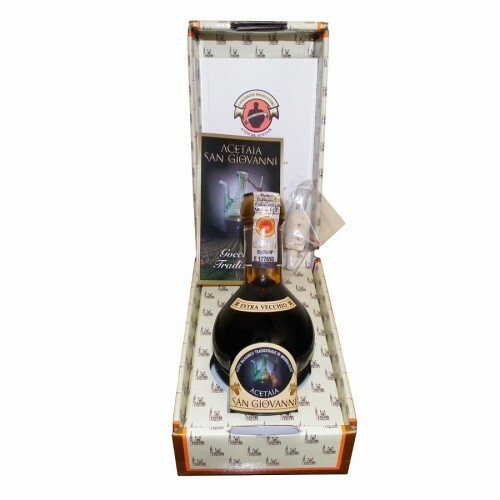 It is time to give it the characteristic dark brown color, and it is always time to give it that intense aroma, combined with an extraordinarily composite taste. The must, left to ferment and acetify in barrels '' mother '' is then put to mature and age in barrels of different woods, each of which gives the vinegar its own aroma and aroma.